Today at the SimTect/SimHealth show, Australia's annual conference and exhibition focused on simulation, CAE announced it has recently demonstrated the networking and interoperability of C-130J training systems located at Royal Australian Air Force (RAAF) Base Richmond. 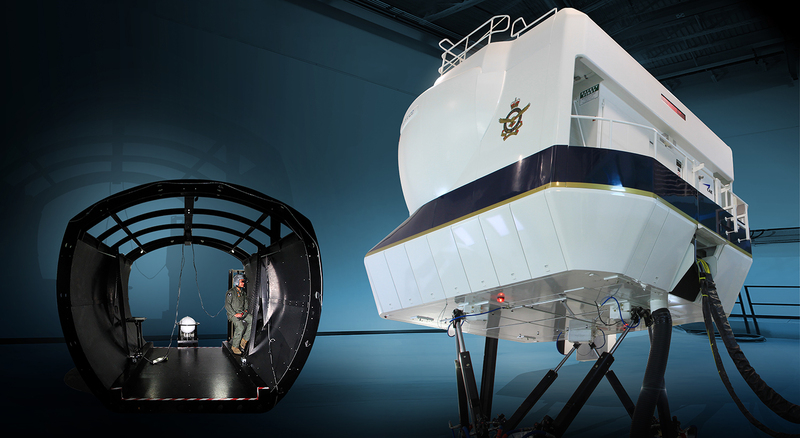 CAE successfully linked the CAE-built C-130J full-flight and mission simulator (FFMS) with a C-130J tactical airlift crew trainer (TACT) developed by Bluedrop and Virtual Simulation Systems (VSS) to demonstrate a single virtual aircraft operating in a common synthetic environment. The networked training devices demonstrated how the entire mission crew, including C-130J pilots and loadmasters, could train together in an integrated virtual environment. "We recognize that our defence customers need to be able to conduct more of their training in a cost-effective virtual environment, so this demonstration was a perfect opportunity to show how our training systems integration capabilities can help the Royal Australian Air Force enhance its ability to conduct integrated mission training and rehearsal," said Peter Redman, Vice President and General Manager, CAE Australia. "There are technical challenges associated with interoperability when trying to network training devices with different architectures from various manufacturers; however, these challenges can be overcome and the end result can be improved mission training prior to operational deployments." CAE is an expert training systems integrator with a range of experience integrating and supporting networked mission training. Through the development of market-leading capabilities, such as the common database (CDB) and dynamic synthetic environments, CAE is continuing to innovate by focusing on developing solutions that enable defence forces to expand their use of existing training assets and conduct more training in a cost-effective virtual environment.